When it comes to air travel, one would naturally want a value for their money. So, what is the best option – flying first-class or taking the private air travel option? The two factors which are paramount for weighing the decision between first-class travel and private jets is value to money and time. Here’s how flying first-or-business class could be better than a private jet. It is reported that quite a few chartered private planes don’t have amenities like wireless internet due to the high-costs involved. In contrast, most of the major airlines offer Wi-Fi on domestic flights and on transatlantic routes. It is also contested that there is more consistency of amenities offered first-class, which is amiss whilst flying private. It could be difficult to charter during peak usage periods including holidays. Naturally, it is not a hassle for someone who owns a plane. But for others who turn to charter companies for private air travel, it could be a disappointment. The actual infrastructure of airports is reported to be a hurdle in the context of the private aviation industry. This is obvious in East Asia, and China, where the infrastructure for private aviation is lacking. So, the infrastructure for such airports needs to be in place before the private aviation market expands. 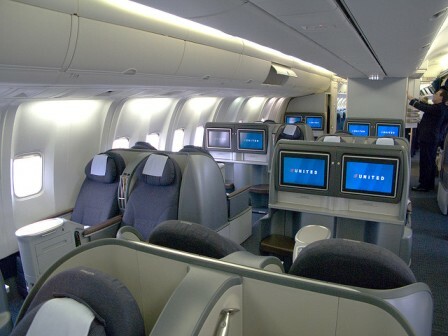 First-class areas have better scope for networking. As travellers have more opportunities to meet other business individuals. The most obvious benefit is the lower cost aspect whilst flying on a commercial airline. Meanwhile, the frequent-flier rewards programs could make flying private more economical. Apart from which, it is also reported that flying with commercial airlines would result in smaller carbon footprints. While flying private has its own benefit like flexibility and saving time. Travellers should be more aware of both sides, to make the apt choice.